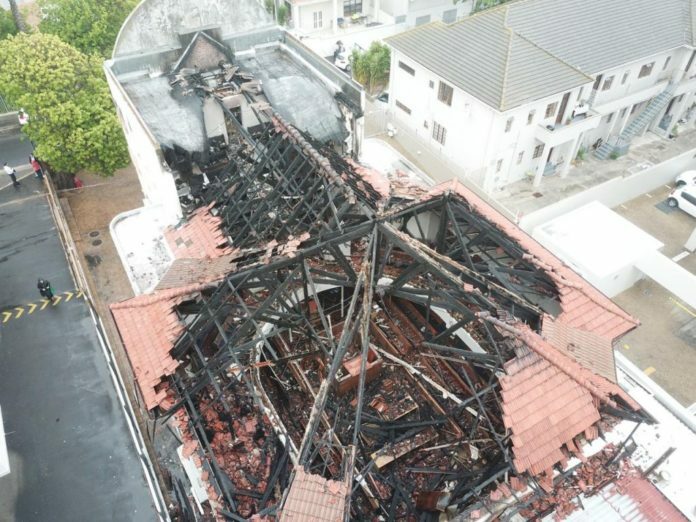 A devastating fire ravaged Beit Midrash Morasha in Cape Town, South Africa, overnight Tuesday. B’chasdei Shamayim, no one was hurt, but the shul was badly damaged and the shul’s seven sifrei Torah were unfortunately destroyed. Sea Point is a heavily Jewish area in northwest Cape Town. The modern Orthodox shul, which is known for its friendly atmosphere, has been on the site in Arthur’s Road since the 1950s. 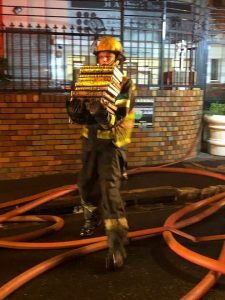 As news of the fire spread, members and friends came to the shul to see if they could be of any assistance. 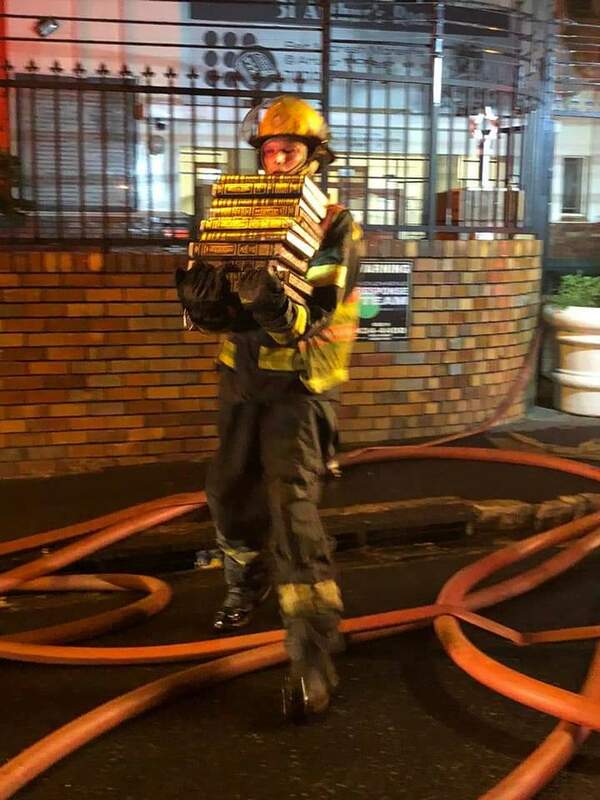 Firefighters bravely carried piles of sefarim out of the shul, and they were passed hand to hand by weeping members to a safe place. Tragically, it was not possible to save the sifrei Torah, and when this became known, the Shul’s Rav, Rabbi Sam Thurgood, recited Kaddish. The South African Jewish Board of Deputies issued a statement, expressing their solidarity with Rabbi Thurgood and the kehillah. Rael Kaimowitz, chairman of the Cape Town SAJBD. said, “The SAJBD (Cape Council) can confirm on behalf of the synagogue that there are no injuries. Investigators report no signs of foul play at this stage and await the outcome of a full investigation. 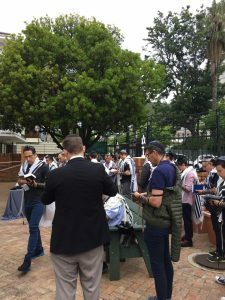 On Wednesday morning, a minyan for Shacharis took place outside the shul. On Wednesday morning, a minyan for Shacharis took place outside the shul. 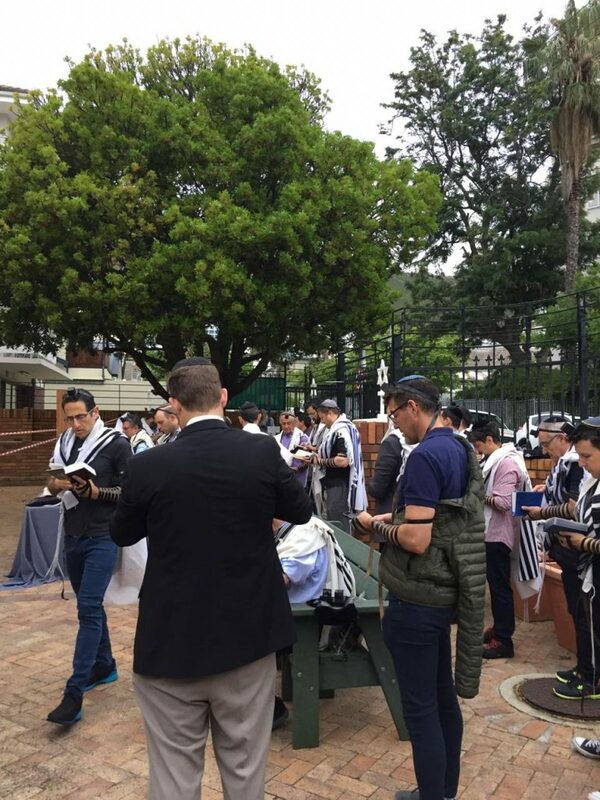 South African Chief Rabbi Warren Goldstein sent a message of support, saying the kehillah was “heartbroken” at the “devastating news.” Chief Rabbi Goldstein mourned the loss of the sifrei Torah, while giving thanks to Hashem that no one was hurt. He urged everyone to stand together and offer their support to the kehillah.